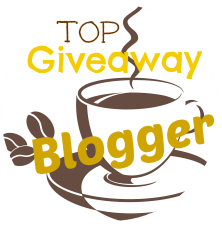 Queen of Savings, Tammie's Reviews Giveaways & More, Green Grandma, Golden State Mom & Here we go again, ready? No, I've never had a live wreath. My aunt buys one every year and I think they are beautiful. No, I have never had a live wreath before but my grams did when I was a little girl. It was always so pretty and smelled amazing. Never but I would love one! No, i have never had a live Christmas Wreath. I would love too though, I bet it smells nice. No I have never had a live wreath. They look beautiful and I would love to replace my worn out fake one with something fresh! I had a live wreath once when I was in high school. We sold them for a fund raiser. Would love to have one again. yes I have had a live wreath before a long time ago,I think they are prettier and I love the smell of them and have more holiday spirit. I've had one and the scent was amazing. I have not had a live one. I have never had one but I bet they smell so good when guest enter your home. I will only get a live one if I can get a good deal and the last couple of years I've found some at Menard's. I usually have artificial. Nope! I've never had a live wreath before, although I have always longed for one! I have never had a live wreath before -- I have a fake one that I pull out every year and hand it on the front door. No I haven't, and I would love to have one! No, I haven't had one before! No I haven't had one before.